Funny how not that long ago coloring books were considered the exclusive domain of children. How times have changed. 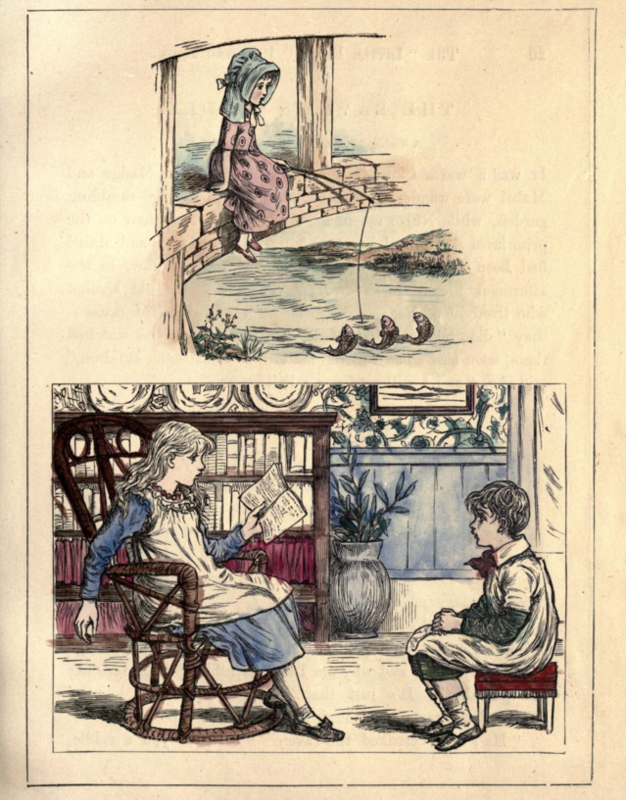 If you are the sort of adult who unwinds with a big box of Crayolas and pages of mandalas or outlines of Ryan Gosling, you owe a debt of gratitude to the McLoughlin Brothers and illustrator Kate Greenaway. 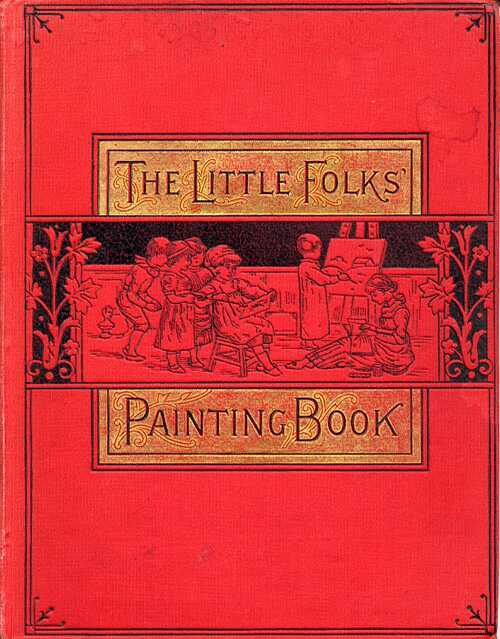 Their Little Folks' Painting Book burst onto the scene in around 1879 with such fun-to-color outline engravings as "The Owl's Advice," "A Flower Fairy," and "Little Miss Pride," each accompanied by nursery rhymes and stories. 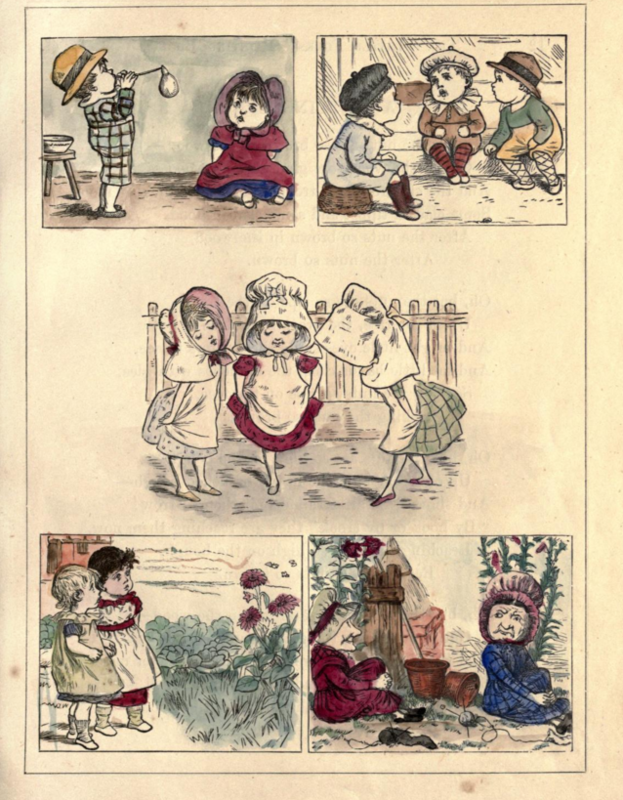 The abundance of mob caps, pinafores, and breeches are of a piece with Greenaway's enduring takes on nursery rhymes, though grown up manual dexterity seems almost mandatory given the tiny patterns and other details. Also note: the copy represented here has been carefully hand-colored by the previous owners, with one contributing some exuberant scribbles in pencil. See the full book, and download it in various formats, at Archive.org. 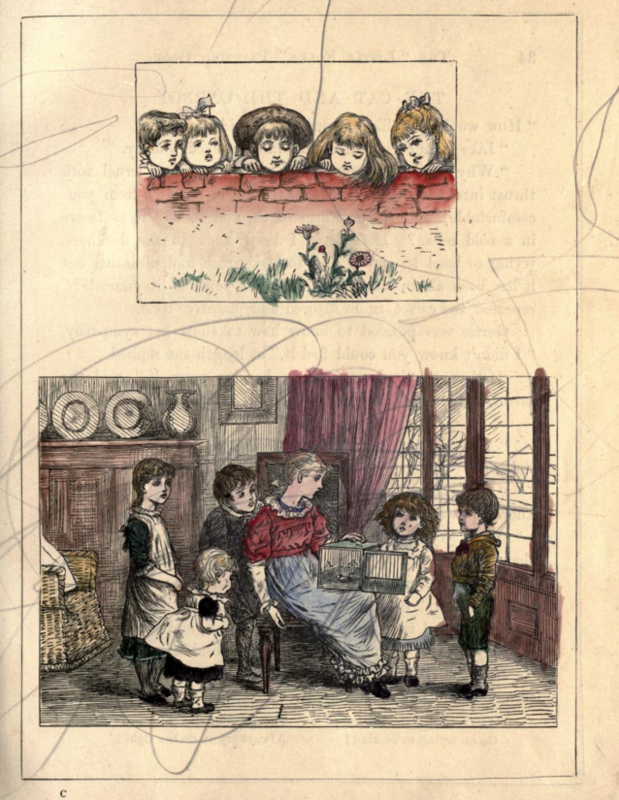 Why do you think this is the earliest published coloring book?